I have done both vlogs and some blog posts about rumors of bigger iPhones, but now a new rumor says that these bigger iPhones will have a curved display. 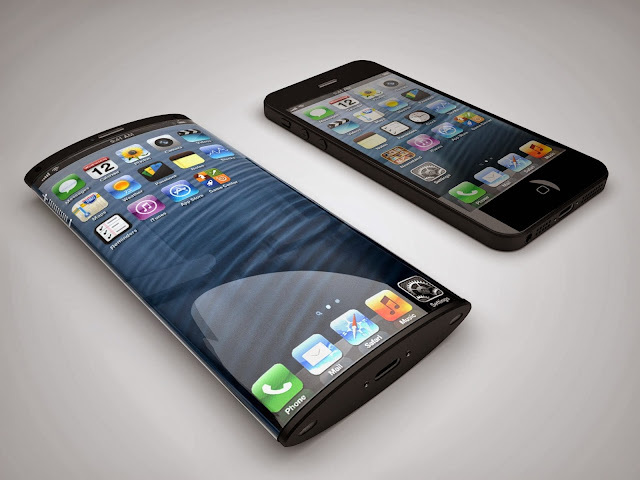 Personally I don’t believe Apple will release an iPhone with curved display, but according to the rumor, Apple is testing two different iPhones with larger curved displays that will have glass that curves downward at the edges, and should launch in the third quarter of 2014. One model has a 4.7-inch curved display, and there is also a bigger 5.5-inch model. Yes it would be cool to have a 5.5-inch iPhone, but if Apple will release a bigger iPhone, I think it will have a 5-inch display, because that is the new norm when it comes to smartphones. And if that is the case, there is no need for a curved display… I can’t see the point with phones with curved displays, they are only good when you are holding them to the ear making a call, and that is not the main point with smartphones anymore.